Right off the bat, I'm going to acknowledge the following list of 10 bucket-list North American hunts is going to leave someone a little hot under the collar. After all, someone will ask, where is the mention of whitetails chewing on a greenfield down in the Deep South? Of mule deer and elk on the spine of the Continental Divide in Colorado, Wyoming and Montana? Huge desert mulies in Mexico? 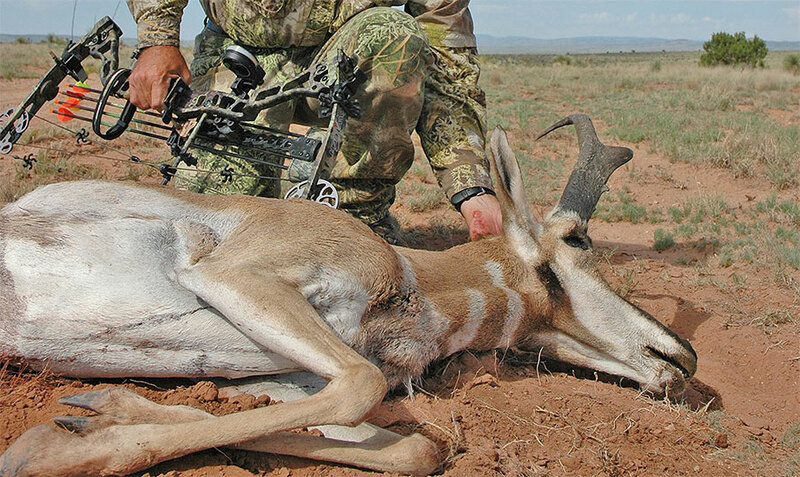 Coues deer in Arizona? Black-tailed deer in the Pacific Northwest? Caribou, moose, Sitka deer and brown bear in Alaska? Wild sheep and mountain goats in the mountains of the West, Canada and Alaska? On the other end of the spectrum, where is the mention of ruffed grouse and woodcock in New England? Bobwhite quail on a southeastern pine plantation? White-winged dove in Mexico? Chukars out west in Idaho? Merriam's turkeys in Montana or New Mexico? Gould's turkeys in Mexico? Eastern longbeards in Iowa, Wisconsin or New York? Osceola turkeys – and maybe an alligator or wild hog in the afternoon – down in Florida? Well, all I can say is that I tried. And maybe I failed since there is no shortage of great hunts to be found here in North America. But I do think this list is pretty solid. Read it and see if you don't agree. 1. Alaska ... Anything: Put simply, Alaska is the crown jewel of North American hunting. First, it's perhaps the last best wild place left anywhere, a vast, rugged, inhospitable, dangerous and mesmerizing land full of game. Getting there – and getting around when you do – is half the adventure. And once you do arrive (and meet the legal waiting time required after flying), a treasure trove of hunting opportunity awaits those with a tag. Moose? Mammoth Alaska-Yukon bulls trudge through the wild. Caribou? Vast herds roam in several places. Deer? One of the best DIY adventures on the planet exists for hunters heading to Kodiak Island to hunt Sitka blacktails. Bears? Huge coastal brown bears all over, still plenty big interior grizzlies (brown bears) away from the coast and monster black bears along the southeastern coast. Wild sheep and mountain goats? Stunning full curl Dall sheep and mountain goats roam the high country. Even for wingshooters, there is grand adventure in the 49th state ranging from King Eiders in the Aleutian Islands to a smorgasbord of ducks and geese in the marshes along the southern coast to ptarmigan flushing and flying low and fast in a variety of spots. 2. Arizona Elk: In all of North America, there may be nothing more mesmerizing than the bugle of a rut-crazed bull elk in September. Especially when that bull is sporting antlers measuring 375 inches or better. If tagging a world-class wapiti like that is on your to-do list, then there is no better place to try than Arizona. Be forewarned though, tags are exceedingly difficult to draw, requiring years of patient drawing attempts in most units. And since you've got to pay to play – even during the years of steadily accruing preference points – this hunt will not come cheap and easy. But when you walk up on an Arizona bull, your smile will say that it was all worth it. 3. Arkansas Flooded Timber Mallards: To put it simply, the flooded timber – and rice fields – of eastern Arkansas is about as good as it gets for duck hunters. Just ask Sportsman Channel show host and 2006 world champion duck caller Jim "Jimbo" Ronquest, who lives in the area. With the bulk of the Mississippi Flyway mallard migration funneling its way down into the Grand Prairie region of the state, ground zero for greenhead hunters each fall is near Stuttgart, home to Mack's Prairie Wings, Rich-n-Tone Duck Calls and the World Championship Duck Calling Contest. Outside of town, from the fabled public hunting Bayou Meto WMA to top-end private ground like Coca Cola Woods (where Echo Duck Calls has filmed a number of hunts), the duck hunting here is tough to beat. 4. Midwestern Whitetails: My friend Ronnie Cannon – Cornbread as the Oxford, Miss., bow shop owner is known – describes bowhunting big Midwestern whitetails as the crack cocaine of the hunting world. Meaning, once you experience sitting in an Illinois, Iowa or Kansas treestand on a frosty dawn in early November, you're going to be hooked for life. Especially when you hear the pitter-patter of hooves on fallen leaves, see the flash of a doe scurrying by and then hear a series of deep, guttural peak-rut grunts approaching. When you see a 170-inch, 10-point typical whitetail bulldogging his way through the woods, you'll shake to your boots and never be the same again. 5. Wyoming Antelope: Put simply, Wyoming is ground zero for pronghorn antelope hunting, something anyone who has ever driven across the state can confirm. In fact, at one point a few years ago, biologists said there were more antelope in the Cowboy State than there were people. While severe winters can trim numbers back, there isn't a better place to chase the fleet footed speed goat than Wyoming, especially since some units feature respectable draw odds. Population numbers of antelope are the best on the North American continent here, and in the right place, a real bona fide opportunity exists to tag a record-book contender. 6. Canada Black Bears: From New Brunswick and Newfoundland in the east to British Columbia in the west, bears are a familiar occurrence on the Canadian landscape. If you want big numbers and consistent opportunity – with the occasional good boar – then head east. If you want spot-and-stalk opportunities on trophy specimens, think about heading to Outdoor Channel and Sportsman Channel show host Jim Shockey's home province of British Columbia. And if it's bowhunting a genuine pumpkin-head boar with a record-book-size skull – or a color-phase bear – then give northern Alberta, Saskatchewan and/or Manitoba some consideration. 7. Texas Dove and Quail: Since there is almost never a bad dove season in Texas, it's tough to beat the wingshooting for mourning doves and whitetwings anywhere north of the Rio Grande River. Whether you're hunting with a group around a big harvested grain field or hunting solo over a dwindling early September waterhole, many places from Wichita Falls to Uvalde offer superb wingshooting adventure. How about the Lone Star State's quail hunting? Usually, it's the best wild quail hunting left in the country. After several years of poor hunting thanks to severe drought, a couple of great moisture and habitat years has led to a veritable explosion of bobwhites and scaled quail, or blue quail, in many places. The past couple of seasons, that has produced some of the best quail hunting action in 20 years for wingshooters trailing bird dogs in portions of South Texas, the Rolling Plains, West Texas and the Panhandle. 8. Canada Ducks and Geese: Truth be known, there aren't many places where game birds still darken the skies anywhere over North America. But if there's any place where that description is close, it's got to be the Prairie Pothole region of southern Canada in portions of Alberta, Saskatchewan and Manitoba. From early-season mallards over a cattail-choked slough or marsh to big Canada geese honkers circling the decoys in a fresh-cut barley field to a sky full of noisy snow geese staging up to move south, the best overall waterfowling action on the planet is still found in Canada each fall. 9. South Dakota Pheasants: First introduced to South Dakota around the turn of the 20th century, pheasants have made themselves quite at home in the Mount Rushmore State. Today, South Dakota is the epicenter of pheasant hunting each fall, whether a hunter likes blocking and driving a cut corn field with an army of hunter-orange clad wingshooters, working with a buddy over dogs in a CRP patch or pushing birds solo along the edge of a brushy creek bottom. However the All-American hunt unfolds, there is little that can compare to the whirring roar of wings, a sharp cackle and the cries of "Rooster! Rooster!" from hunting companions. Nothing, that is, until a pheasant is pulled straight from the oven and brought to the dinner table. 10. Alabama Eastern Turkeys: Few things in all of the world compare to the beauty of a lush spring morning. Unless it's an early-spring morning around Easter when the dogwoods are blooming and the Eastern turkeys are gobbling loudly among the Alabama pines and hardwoods. While there are numerous other states that offer superb longbeard hunting, few places match the turkey hunting history and passion of Alabama. With any luck, you'll be able to call up a sharp-spurred, long-bearded gobbler, put a tag on the bird, ice it down in the YETI cooler and then head for the nearest Dreamland Bar-B-Que location for a pork sandwich. And when you're done, maybe you can push your plate back and read a passage or two from Tenth Legion, the fabled book on spring turkey hunting. And maybe, just maybe, Col. Tom Kelly, the iconic Alabama scribe who penned the book, will come in for a glass of iced tea and to hear your hunting tale. After all, we can all dream, right? Editor’s Honorable Mention – South Texas Whitetails: If chasing big whitetails with a .270 rifle – or perhaps a 6.5 Creedmoor – is your thing, then how about heading south to rattle in a Muy Grande buck during the December rut down in the Brush Country of South Texas? The weather is usually mild and the hunting is unique in a land where everything that grows seems to have thorns. But the high-protein value of those prickly plants helps produce some of the best whitetail hunting on the planet for Boone & Crockett-size trophy bucks. Besides, what could be better than a day of great deer hunting in the prickly pear cactus flats of South Texas, followed by a moonlit sit under a starry sky as a fire roars in the outdoor fire pit, your favorite beverage is served and fresh elk steaks sizzle over the flames of a mesquite-wood fire?